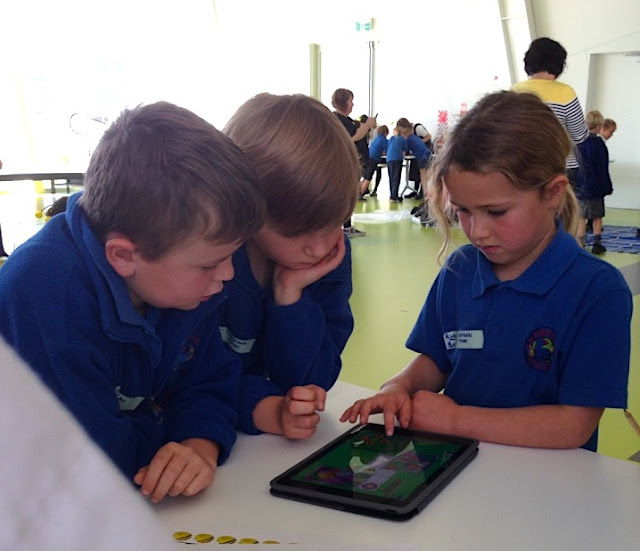 program has been running in Australia and New Zealand since 2011 and in that time has trained more than 9,000 teachers. Through hands-on professional development workshops the program provides teachers with the skills and resources they need to teach computational thinking and computer science concepts in fun and engaging ways. Ali Duncan, a primary teacher at Ladbrooks School in Christchurch, along with other members of her school’s faculty, attended the first CS4PS (Computer Science for Primary Schools) run by the University of Canterbury in 2016. She says the workshop “made me feel more confident to expand my learning (a tiny bit of Python, robotics, Scratch) and being more open in general to conversations around these areas with my children and colleagues”. Since the workshop Ali has become a driving force in her school for computer science and STEM programs. The students “love learning computer science, they enjoy sharing with their parents and making those connections”. Through the CS4PS workshop, Ali’s class was invited to the University of Canterbury’s BuzzOff BeeBot challenge last year which was a fantastic learning experience for the students and showcases the ongoing support for teachers fostered by the CS4HS program. We’re excited to announce the 2017 CS4HS Awards that will continue to inspire and empower teachers like Ali around Australia and New Zealand. Helping educators to confidently teach digital technologies provides students with lifelong skills that enable them to solve problems and develop critical analysis skills. Google’s Computer Science for High Schools (CS4HS) program has been running in Australia and New Zealand since 2011 and in that time has trained more than 9,000 teachers.